India’s art set is nothing, if not organised. If you’re an art lover, there’s plenty for you to indulge your senses in, right from the start of the year. From women power to nostalgic trips down memory lane, the themes for this year in Indian art are powerful, rich and varied. Here are some unmissable art events in the first quarter of the year. A contemporary art festival started in 2011, the India Art Festival aims to start a dialogue and ignite a spirit of collaboration with respect to contemporary art by bringing together galleries, artists, curators, dealers, buys and connoisseurs under one roof, twice a year, in Mumbai and Delhi. In addition to providing a platform to established artists and galleries, one of the primary reasons that IAF came into being is to give emerging artists across disciplines a launchpad for their fledging careers. Every year, IAF features close to 300 independent artists from India and overseas, showcasing in its 150 booths a wide range of artwork that includes mediums such as paintings, installations, sculptures, photography, digital prints, video art and all other kinds of visual arts. The festival also sees participation from 50-odd galleries from Mumbai, Delhi, Bengaluru, Chennai, Kolkata, Hyderabad, Ahmedabad, Jaipur and even UK, Canada, Singapore, UAE, Sri Lanka, and Israel, and is an unmissable event for lovers of contemporary art. Limited VIP preview passes available. Held annually in New Delhi since its inception in 2008, the India Art Fair is a smorgasbord of museums, galleries, artists, patrons, collectors, art charities, foundations, studios, collectives, institutions, and of course, art lovers who come together each year to celebrate varied disciplines of art from India, South East Asia, and a smattering of the West. The fair focuses heavily on paintings and art installations, but given that it draws a national and international audience, there is plenty by way of entertainment in the form of theatre and other performing arts. This year, the team helming the fair is almost exclusively women, led by fair director Jagdip Jagpal. Look out for Chinese artist and activist, Ai Weiwei’s collection, known for his politically charged art. The contemporary art collection will see Weiwei’s work across mediums such as scripture, film, photography, and even music. Also worth keeping an eye out for is Rekha Roddwittya’s almost autobiographical collection portraying women through the lens of her personal experiences, while referencing sociopolitical turmoil. Limited VIP and Preview passes are available for private and exclusive access to a curated selection of the best that the fair has to offer. What started 20 years ago by a group of people as a street festival to preserve the cultural heritage and visual identity of South Mumbai in a fun way has grown into a multi-venue festival with multiple art exhibitions, music concerts, workshops, panel discussions, film screenings, heritage walks, theatrical performances, as well as celebrations of other performance arts. The KGAF is now spread across 30 venues in South Mumbai and 500-odd programmes, and is one of the biggest non-ticketed art and cultural event in India. This year, the KGAF celebrates its twentieth year by bringing back popular events from the last 20 years such as 1990s pop star retrospective music performances, 20 dance styles from across the country. The theme for the visual art that will be showcased at the festival is ‘A Measure of Time’, to reflect the changes the city has seen in the last 20 years. The festival will also pay tribute to Mahatma Gandhi, as the country gears up for his 150th birth anniversary. Five women photographers explore the theme of identity by showcasing how they navigate both their personal lives and the world around them. This exhibition is all about the expression of women’s many identities, their sense of freedom, and the social taboos that still hold them back. Featuring Anu Malhotra, Anushree Fadnavis, Kannagi Khanna, Shatabdi Chakrabarti, and Sukritu Anah Stanaley, who will present the Soul Survivors series, Train Diaries, Leela series, Vanishing Art, and Resemblance, respectively, this exhibition is a must-attend for those with a vested interest in feminist art. 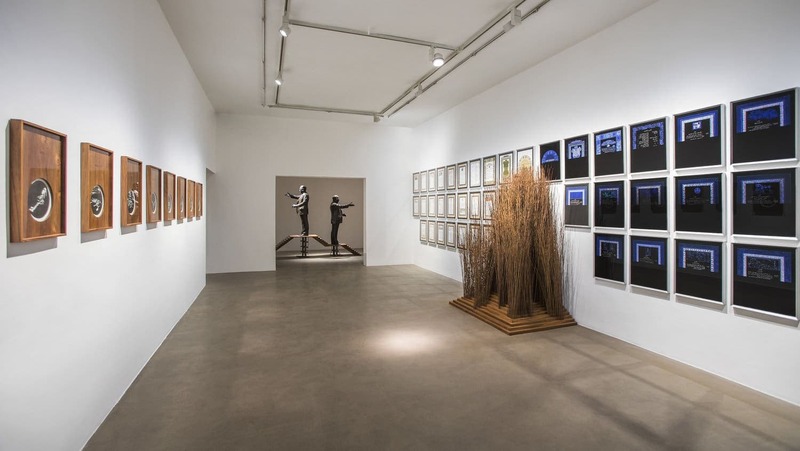 If you’re a fan of Indian modern art, especially Contextual Modernism, you cannot afford to miss this exhibition spend across the two locations of Vadehra Art Gallery in Delhi. The exhibition, curated by R. Siva Kumar, who also curated the pathbreaking Santiniketan: The Making of a Contextual Modernism exhibition on the occasion of India’s 50th Independence Day, features 200 works from the estate of artist Benode Behari Mukherjee, one of the four key figures in Contextual Modernism. Spanning his lifetime, the artwork will feature the artist’s self-portraits, intimate sketches of flora, landscapes, and preparatory drawings and paintings.